Hello, hello! I trust that April has been nice to you. Unsurprisingly, we’re already playing around with Summer temperatures here in Florida. Yep, bring on the sweat! 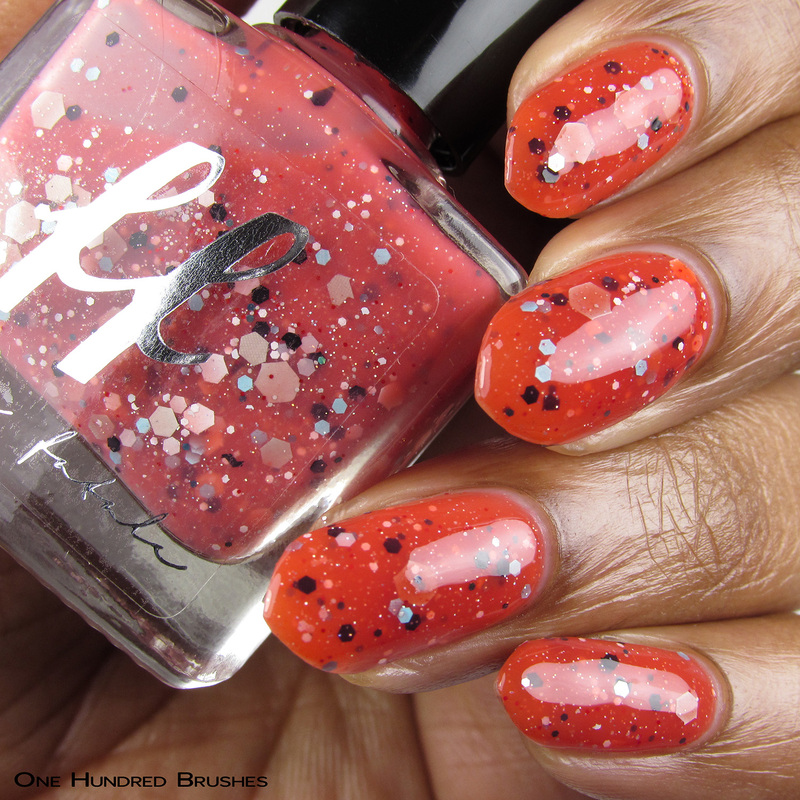 Today, I have two pretty polishes to show you from the Hella Handmade Creations lineup for this month. As usual, I’ll go over how this group works then we’ll look at the offerings. 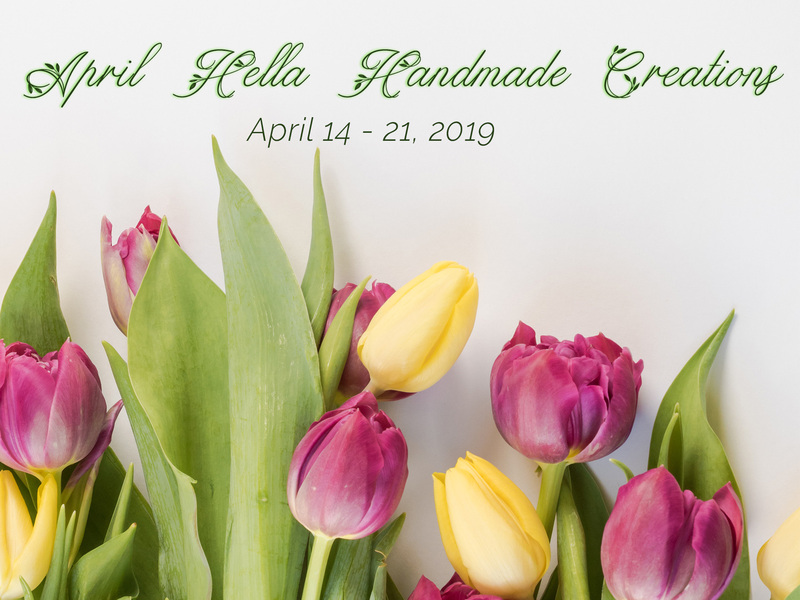 With Hella Handmade Creations, maker’s are invited to join, then they select a theme and create a polish every month to go along with the chosen theme. Polishes are then available for preorder for a week (14th – 21st every month) and purchasable through the HHC website and shipped 3-4 weeks after purchase. It’s very exciting to witness themes expand, be exposed to new fandoms and gain a new appreciation for different brands, old or new. Sophie is adding to her Stephen King collection with Perse, drawing inspiration from King’s Duma Key novel cover. 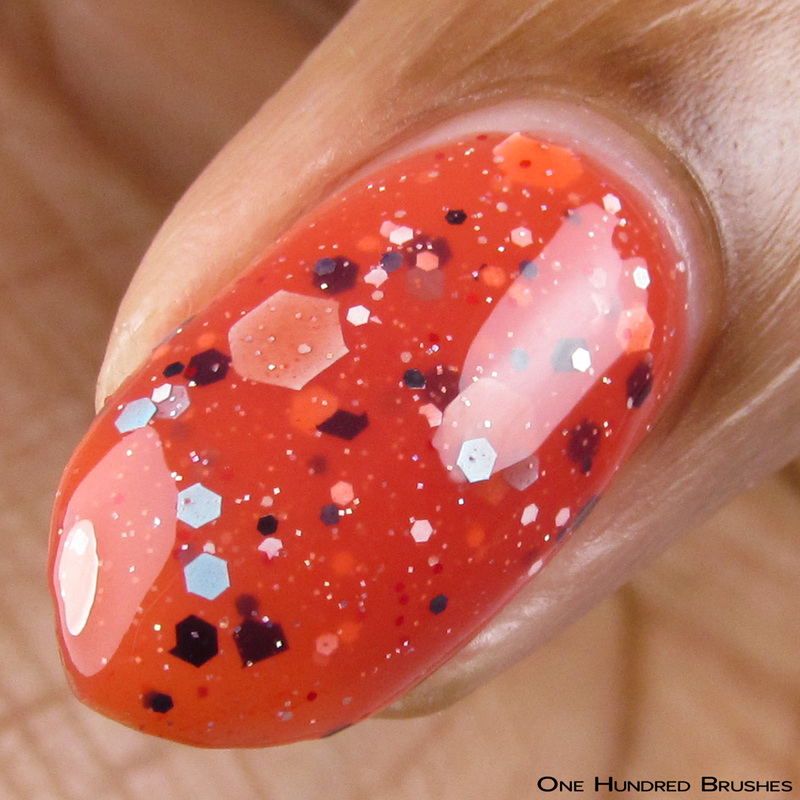 Perse is described as thermal that shows as red when cold and clear when warm glitter crelly. 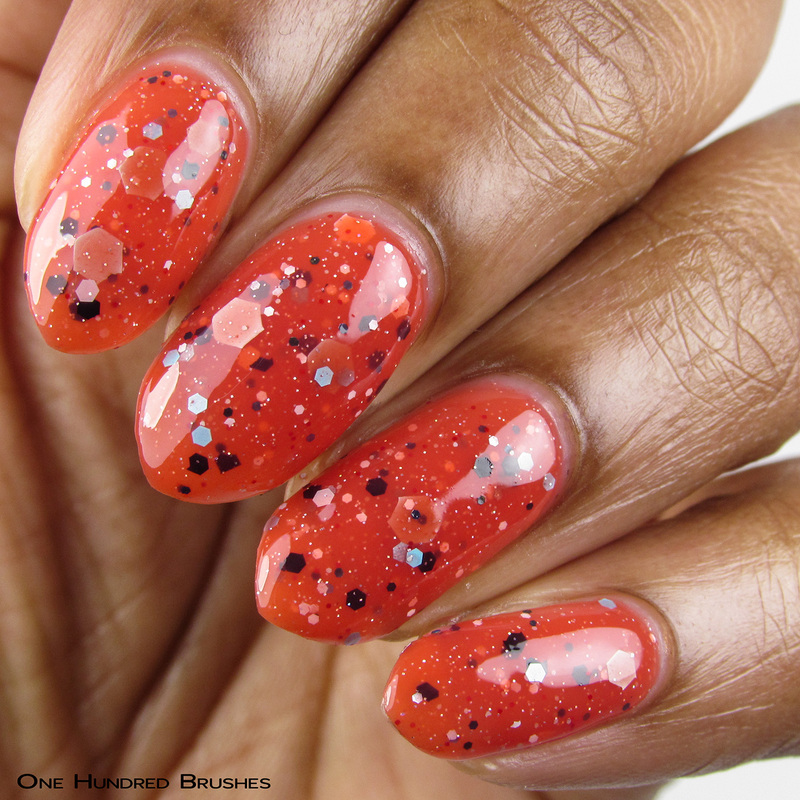 The polish features an array of white, grey, pale blue, black and red glitters. There are plenty of glitters in here which begs a slower, more precise application. The glitters work very well here and are easy to find. Here, I’m wearing three thin coats with a glossy topcoat. Unfortunately, at the time of application, I somehow missed that this was a thermal and I’m only able to show it in it’s cold state. You can find more thorough swatches in the HHC Facebook group and the Femme Fatale Facebook group. Look, I got this one right! 😆 Mariah’s April contribution to her Lord of the Rings theme is At The End Of All Things. At The End Of All Things is tri-thermal that shifts between a slate blurple when cool, to peach, to soft purple-periwinkle when warm. Also visible is a red to magenta to bronze to green shifting aurora shimmer that gives is it a warmer, richer look, and is flecked with holographic microflakes. This is an easy application and the consistency allows the elements to shine through. Here, I’m wearing two coats with a glossy topcoat. 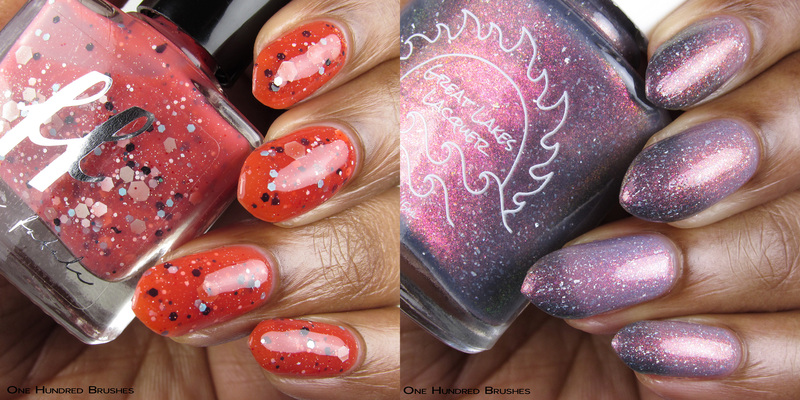 These two thermal polishes are a small peek into what is available for purchase this month. 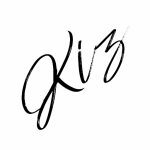 Hi, I'm Kiz! I've got so many pretty things to show you! Stick around for nail art, swatches and other shenanigans!